A member of the Norwegian royal family has accused Kevin Spacey of groping him. Ari Behn, the former son-in-law of the King of Norway, made the allegation on Norwegian radio station P4. He said that Spacey, who already faces a raft of allegations, groped him after a Nobel Peace Prize concert in Oslo a decade ago. “We had a great talk, he sat right next to me. After five minutes he said, ‘Hey, let’s go out and have a cigarette.'" he told P4. Behn said he turned him down with a polite, "Er, maybe later." “I am a generous person but this was a bit more than I had in mind. My hair was dark at the time, I was ten years younger and right up his alley," he added. Several accusations have been levelled at Spacey in the wake of actor Anthony Rapp alleging he sexually assaulted him when he was just 14. The son of actor Richard Dreyfuss claims Spacey groped him while his father was in the same room. Rapp's allegation prompted Spacey to come out as gay. He said he did not remember the incident and apologized for what he said "would have been deeply inappropriate drunken behaviour". An investigation at the Old Vic where Spacey was Artistic Director for a number of years revealed 20 accusers made allegations between the 58-year-old between 1995 and 2013. The actor, who starred in five seasons of Netflix hit House of Cards will not return for the sixth season. He has also been replaced by Christopher Plummer in upcoming movie All the Money in the World. 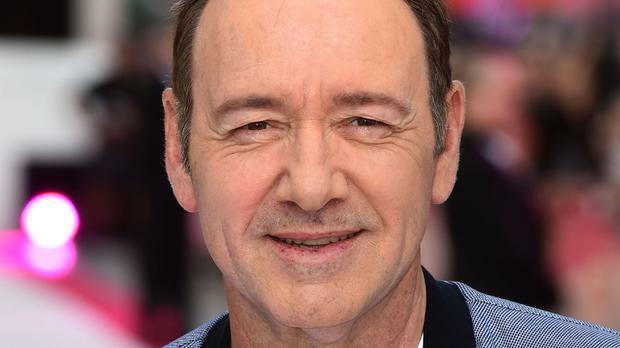 Spacey’s representatives have said he is currently seeking treatment.